Fairmount Park is home to a complex local ecosystem. Campers assembled into specialized groups to investigate various aspects of the life of Fairmount Park. Our field study groups were: Birds, Insects, Trees, and Other Living Things. 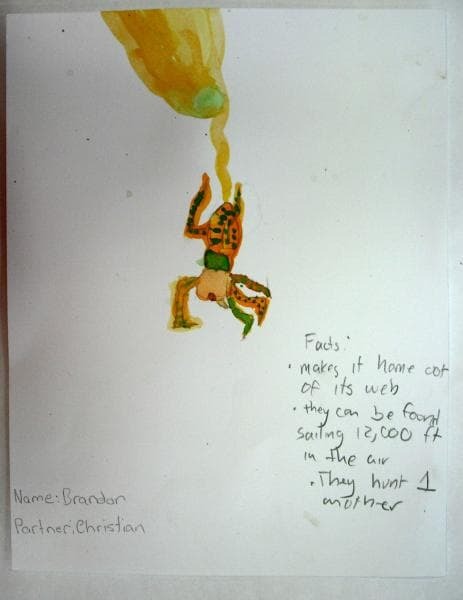 Once they had observed and identified their subjects using field guide books, campers created water color paintings of what they observed and made some notes on what they had learned.